Common ailments often go undetected in many developing countries and quickly become a matter of life or death. People who suffer major health issues such as heart defects or AIDS face the real threat of never receiving life-giving treatment. 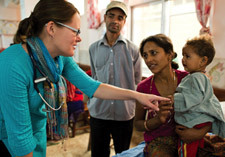 Samaritan’s Purse provides doctors, nurses, medical equipment, and other aid through World Medical Mission, our medical arm, while administering hope through the healing power of the Great Physician. 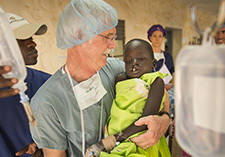 In South Sudan, children who are born with a cleft lip are often shunned by society because of the false belief that they are possessed by evil. 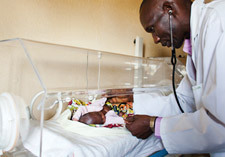 We send volunteer medical teams to perform cleft lip and palate surgeries for patients of all ages. Your gift can help us provide these life-changing surgeries to men, women, and children, while sharing the Good News of Christ's eternal triumph over darkness.